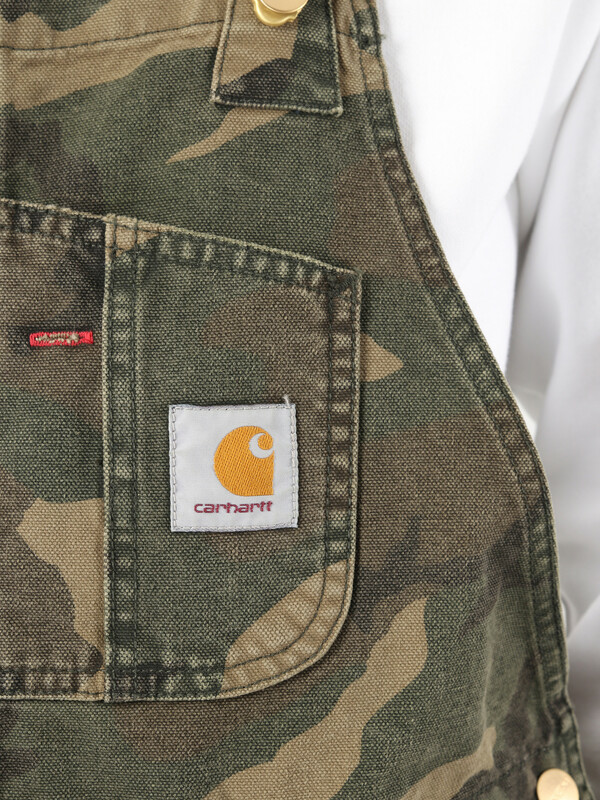 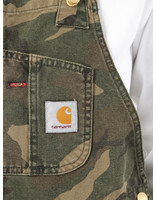 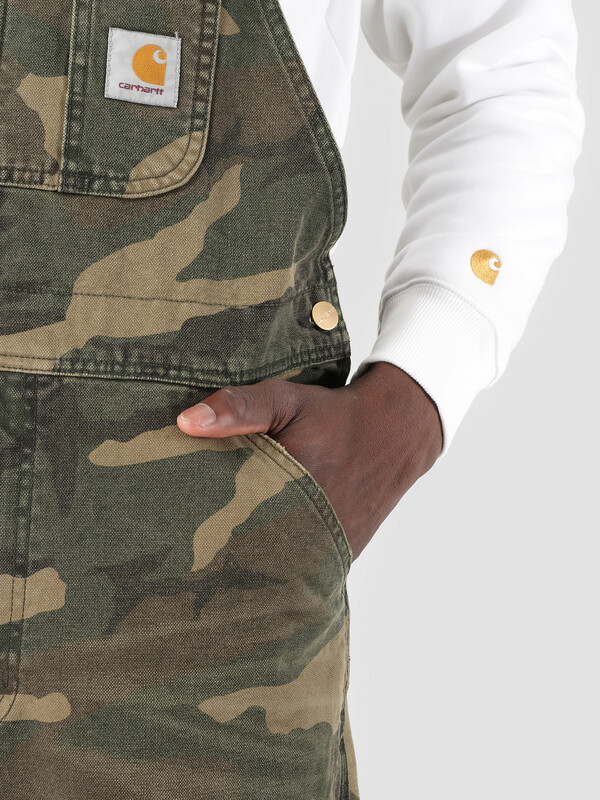 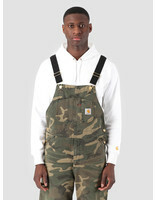 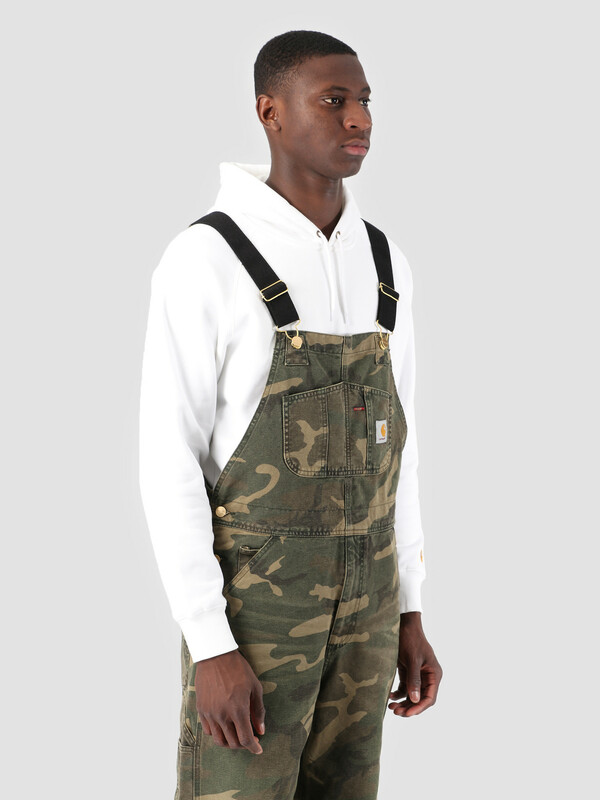 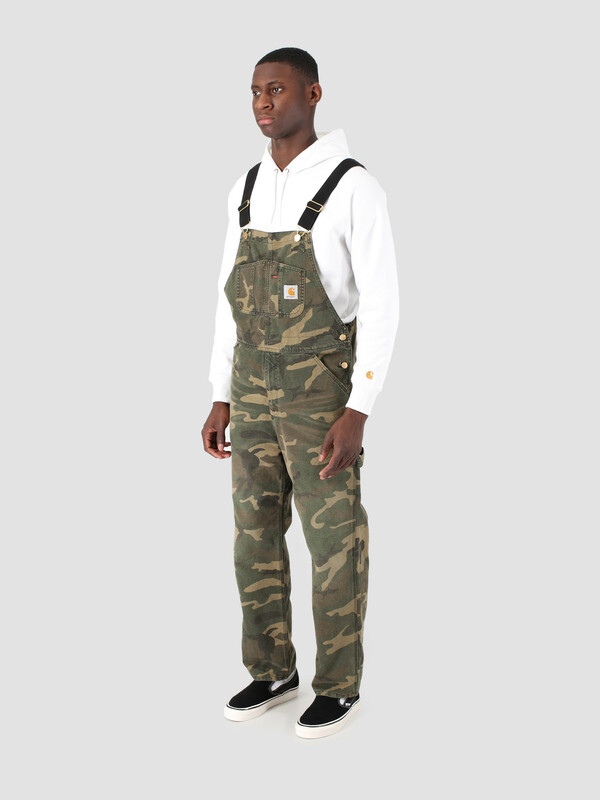 This is the Bib Overall by Carhartt WIP. 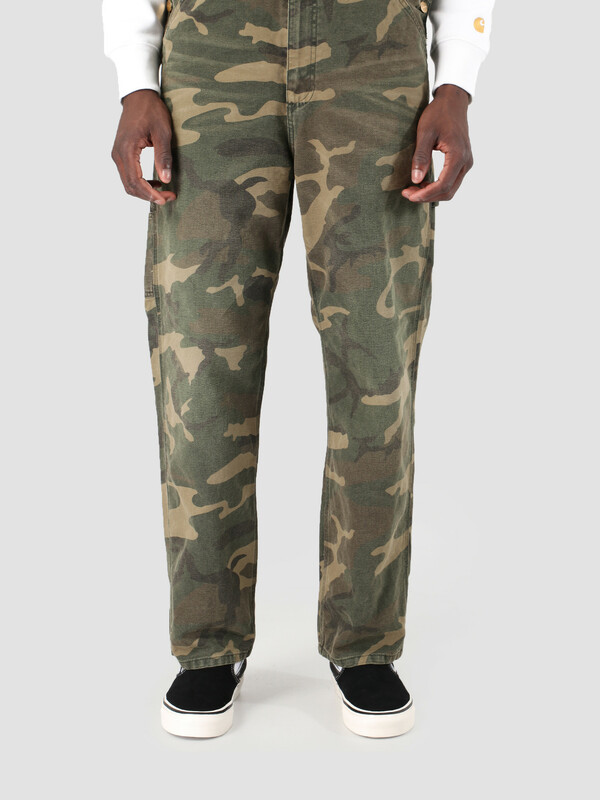 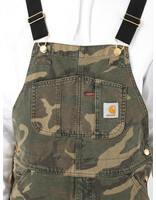 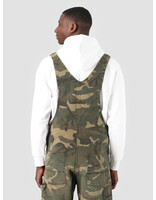 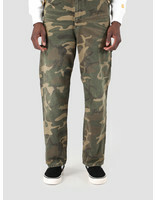 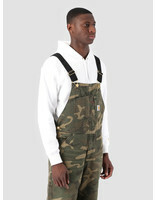 The overall is in camo and has chest pockets. 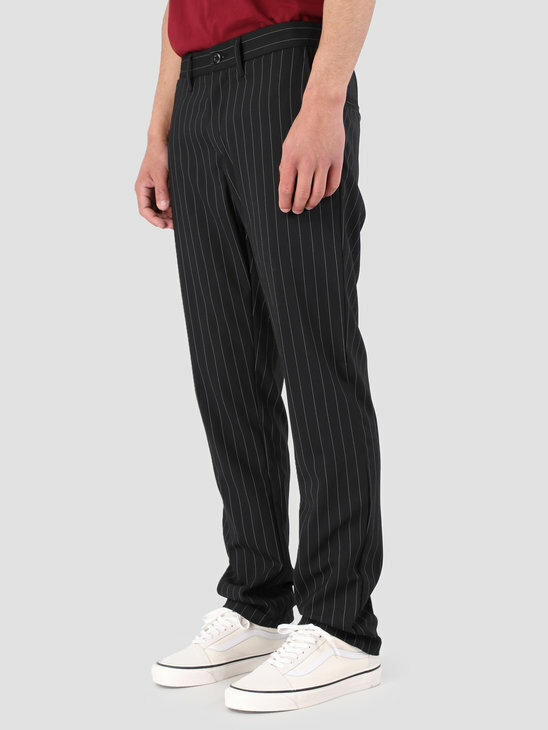 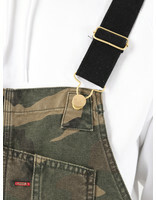 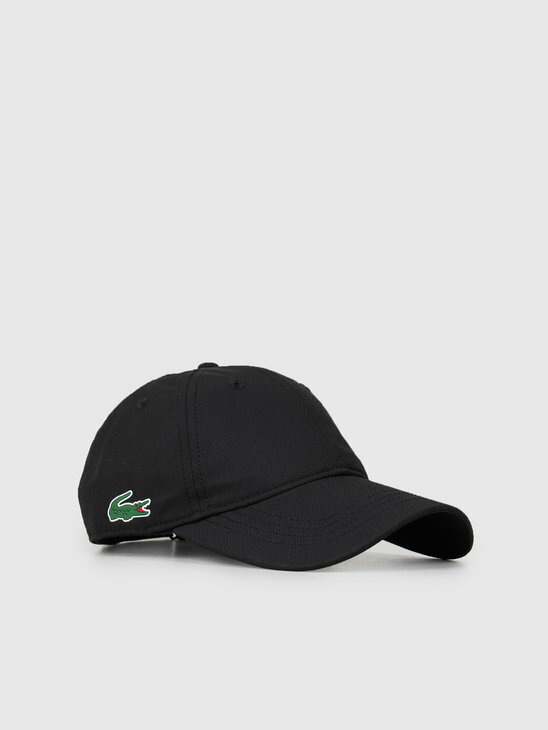 The overall has elastic suspenders and square label embroidered on the chest. 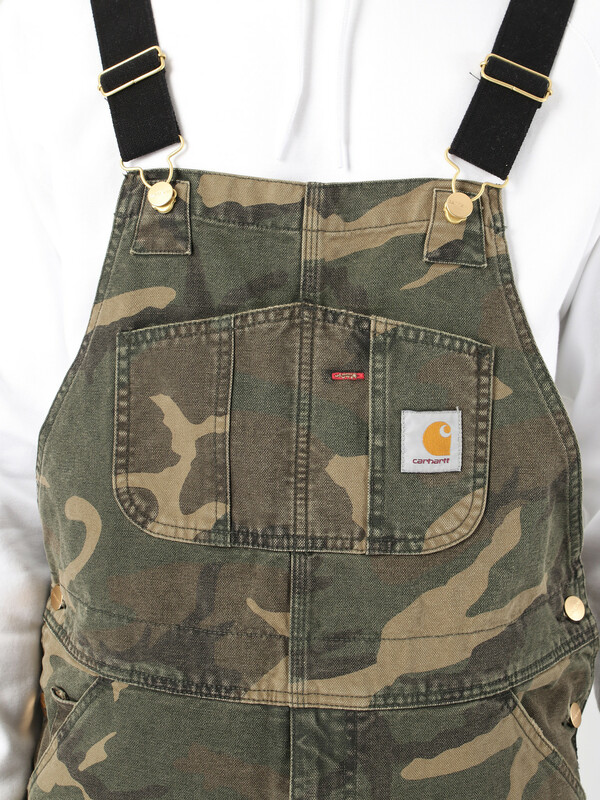 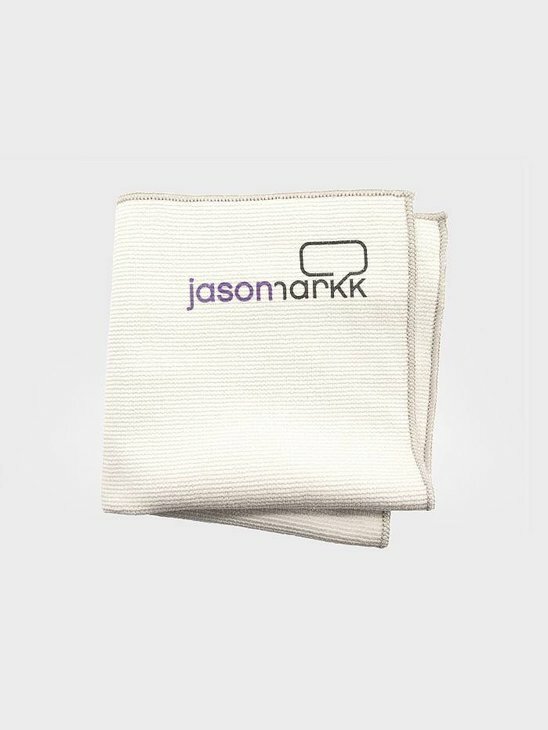 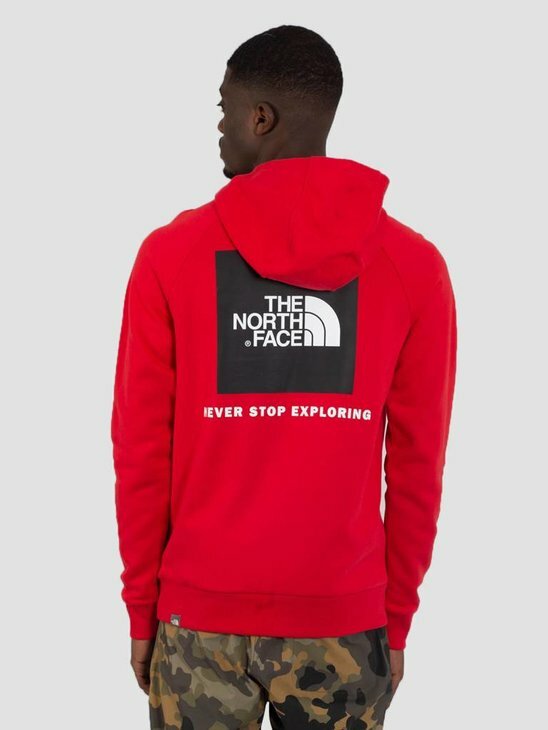 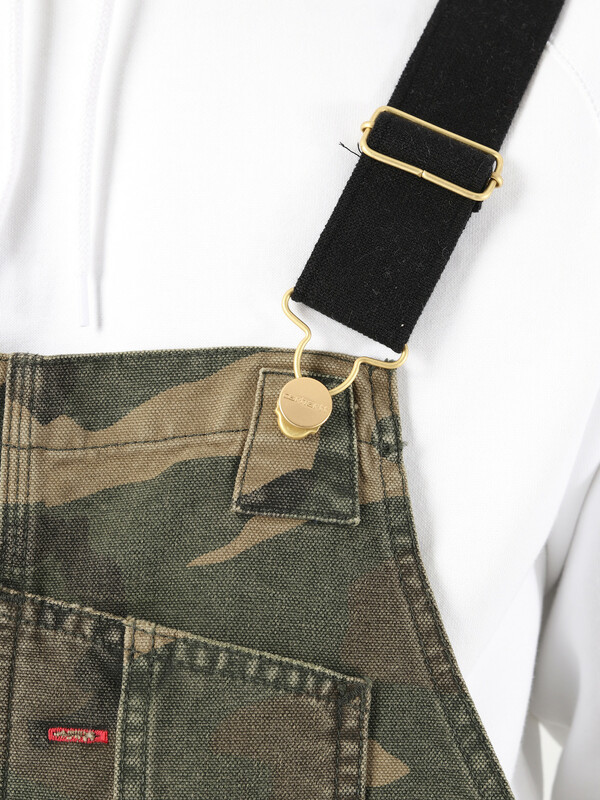 The overall has tool pockets and hammer loop and is made of 100% cotton.